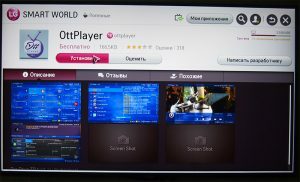 This small instruction explains how you can enjoy SATMAXX IPTV subscription directly on your Smart TV. 1. Make sure you have purchased your SATMAXX IPTV subscription account. You can choose from 3/6/12 months plans. Your account will be activated and notified once your payment is confirmed. Your account activation details will be sent to you via email. 2. 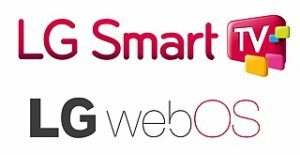 Download and install the Smart IPTV App from your Smart TV App Store (subscription applies & comes with a 7 days Free trial by Samsung). 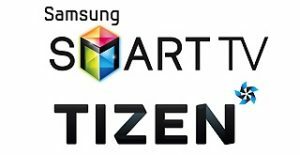 If you decide to keep the app, you will need to purchase the app from Samsung directly after 7 days trial thru VISA/MASTER card. 5. Note down your MAC address and send it to activation@satmaxx.com or your local regional agent along with your payment reference details. 6. You will be notified confirmation of your service activation, usually within 3-6 hours. 7. 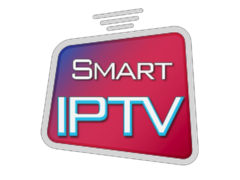 Now when you open your Smart IPTV app you will see list of channels displayed on your screen. 8. Use your Smart TV remote to operate and choose the appropriate country to select your desired channel to watch. 9. Controls- User LEFT and RIGHT arrow key on your remote to move around. Use the BLUE or D button on your remote to arrange the channels group wise in alphabetical order. Make sure you have purchased your SATMAXX IPTV subscription account. You can choose from 3/6/12 months plans. Your account will be activated and notified once your payment is confirmed. Your account activation details will be sent to you via email. 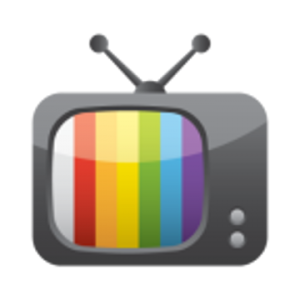 Search for IPTV EXTREME APP via GOOGLE PLAYSTORE or download the through direct link Click Here. 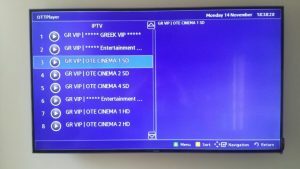 Open IPTV EXTREME, note down your system MAC address and send it to activation@satmaxx.com for activation. You can also contact your local or your regional Satmaxx agent in your area for activation. Restart your application when intimated thru email or by your regional agent representative. Wait for the PLAYLIST to load until the channels list appears. You will now need to close the app and restart again. Now when you re-open your app you will see list of channels displayed on your screen.You will find all the channels categorically as country wise. Use your Smart TV remote to operate and choose the appropriate country to select your desired channel to watch. Also you can choose the style LIST or GRID on the top right corner of the screen whichever you are convenient with. You can also mark your favorite channels under FAVORITE option by simply long pressing the OK button on the channel name to save the channel in your favorite list. You are all set. Enjoy! Please follow the below instructions below to activate your Satmaxx subscription on your SAMSUNG OR LG SMART TV. 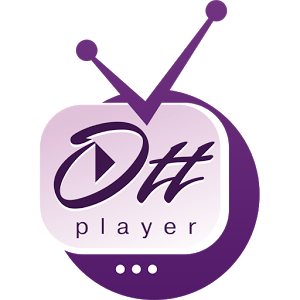 Search for OTT PLAYER APP via GOOGLE PLAYSTORE (check for purple logo ) or through direct download link Click Here. You will need to bind your smart tv with Satmaxx server in order to create & watch LIVE TV channels. Your login details will be provided y email. Go to SETTINGS and enter the above login email and password and follow the next step. You will be prompted for NEW DEVICE detected. Rename your device as your CUSTOMER ID: (provided in your email) and click OK.
Click the ARROW on the top right side of your TV screen to REFRESH your settings once your service representative has activated your account. Once you click on the app to open, it will take you to the Demo mode since you have yet not paid for the app. Although it will still give you access to a couple of demo channels for demo purpose only. Activate it! 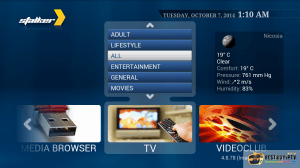 Once activation is processed, you will now need to activate your Satmaxx IPTV account on your smart tv. Restart the app and while it prompts you for LOADING PORTAL click on OK button on your remote. It will now prompt you for SELECT THE PORTAL FOR LOADING. Now click SETTINGS. Goto DEVICE INFO. You will find 2 MAC addresses DEVICE MAC ADDRESS and VIRTUAL MAC ADDRESS. 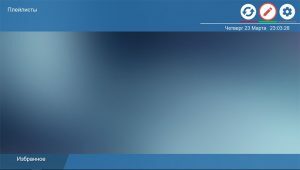 Note your VIRTUAL MAC ADDRESS and provide to Satmaxx customer support through email support@satmaxx.com with you registration details to register your app and associate subscription payments. Your will receive a confirmation email for your VIRTUAL MAC ADDRESS activation on Satmaxx server. 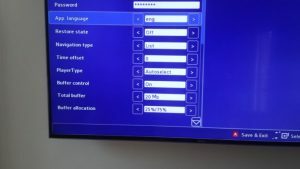 Press OK or RETURN on your remote to save the settings and reload the APP. Channels should be loaded and you are all done!!! 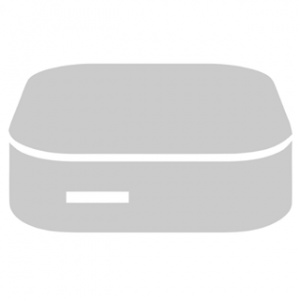 REMEMBER: Your subscription allows you to connect 1 Device 1 IP/MAC address only. 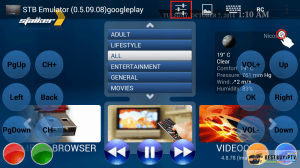 In case an additional device is connected the IPTV server automatically blocks both IP/MAC addresses from which they are connected and the service is suspended. Please avoid such an incident.